I took an impromptu road trip last weekend and needed something fun to keep me going as I drove. Booknerd Jacque has recently discovered the Shopaholic series, and maybe that inspired me to finally listen to this audiobook that I picked up at a conference several years ago. 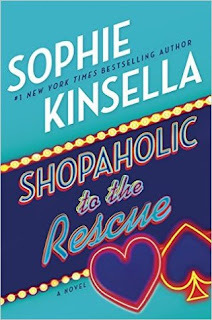 Shopaholic to the Rescue picks up right where Shopaholic to the Stars left off. I haven't read Stars, so while I wasn't completely lost, there were a lot of references to events from that last book that I didn't get. Also, the last book in the series that I read in full was Shopaholic and Sister, so there were some new characters I hadn't met. But I still adored this story. I believe it's the final book in the Shopaholic series and I got a little misty eyed at several points of it. But I feel like it left all the characters in a good place, with a satisfying conclusion. In this one, Becky has visibly grown. Her musings are still quirky and fun to read, but she is far from the woman we met in Confessions. One of the main story lines in this book is that Becky does not want to shop for herself, and I think it's completely brilliant that in the last book in the series she is having the opposite problem as in the first. That being said, Derek Smeathe is in this book, and I loved the circle effect of having him play a role in this story. True to any Becky Brandon (nee Bloomwood) story, the situations the characters find themselves in are so bizarre and fun to read. This book is a road trip, so we got to see several scenarios through Becky's eyes: a big county fair, Las Vegas, Sonoma, and more. Becky steals the show as always, but I had fun with the other characters as well: her mom and Janice, Eleanor, Danny, Tarquin, and even Alicia B*-Longlegs were all a delight to read. There is a scene with Elvis toward the end of the story that really did make me tear up. So perfect and well done. And "Becky's 11?" I love it! 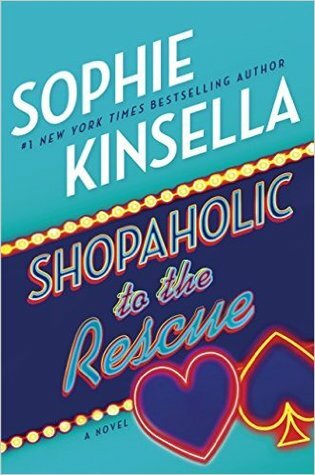 This is a delightful, fun, satisfying conclusion to the Shopaholic series, and I am really glad I read it!